Série de conférences autour du Kalevala par Gerhard Schmitt de l’Université d’Oulu. 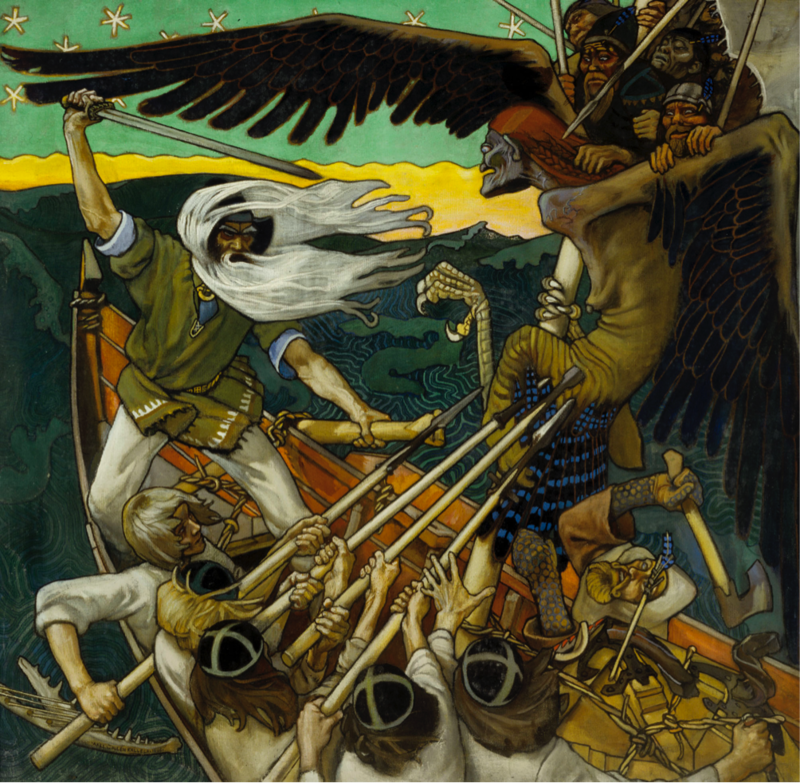 Mardi 14 avril à 18 h : The Kalevala as Mythological Kontext for Modern-Day Finland. Lieu : Le Patio, salle 4202, Université de Strasbourg, 20 Rue René Descartes, Strasbourg. Finland’s national epic is called The Kalevala and it is based on the oral-folklore of the Finno-Karelian people, as recorded and collected by Elias Lönnrot (1802-84). He started to compile this collection in 1828 and the resultant material is regarded as the national myth of Karelia and Finland, being seen as one of the most important works of Finnish literature. 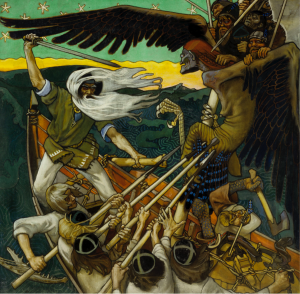 In this series of lectures the cultural context of The Kalevala in the twentieth century will be presented along with its effect and impact on the national-romantic music of Jean Sibelius, the symbolist paintings of Akseli Gallen-Kallela, as well as on the political policy of Finland during the wars of the first half of the twentieth century and the popular fiction of the present-day. The Kalevala tv-series Rauta-aika (1982), directed by Kalle Holmberg, with screenplay by Paavo Haavikko and music by Aulis Sallinen, forms the basis for the second and third lectures. By focusing on the central themes of courtship and the Sampo robbery, these lectures will promote the still valid impressions of the Finnish landscape and its people.